Visiting team If you’d like a visit, please call us and we can arrange it. Home Groups meet mid-week for fellowship, prayer and Bible Study, please contact the Vicar if you are interested in joining one of these home groups. WOW Ladies meet the 3rd Tuesday of the month at 7.30pm in St Peter’s Parish Room from February to June 2019. We have lively and entertaining discussions covering a variety of topics which inspire and encourage. 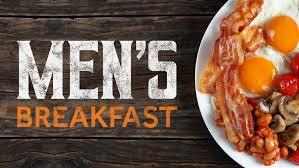 Men’s Breakfast. . . . Venue ‘Flowerdews’ cafe in Bromyard(opposite the Hop Pole Square). We meet at 8.30am on the first Saturday of the month. Small breakfast £4 and large breakfast £5.50; both plus drinks. Kirkham Gardens Fellowship Group Meets at Kirkham Gardens rooms, 2.30pm on the 1st Monday of the most month. Sandwich Lunch The purpose of these lunches is to give Christians and others an opportunity to meet socially in an atmosphere where it is natural to talk of Christian things and to listen to what speakers from different traditions have to say about their faith and the application of it to their daily lives. The cost of the lunch is £3.60 (payable at the lunch).